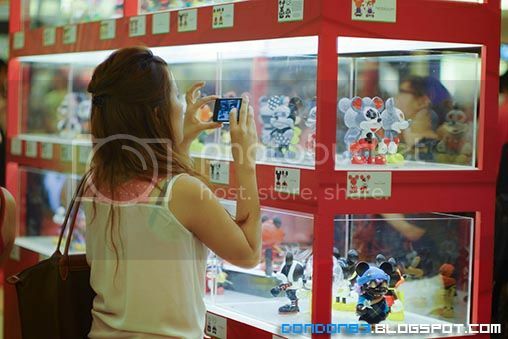 what i see is there is few cabinet with a lot's of mickey mouse in it.. each of them are unique... let see how unique they are. 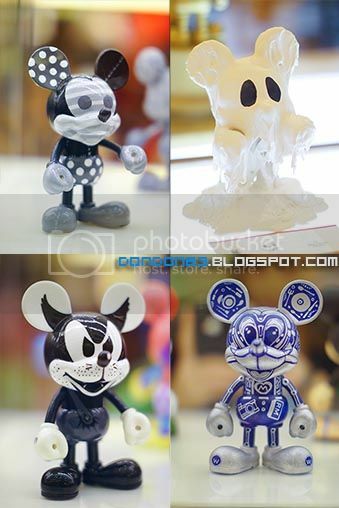 black & white mickey.. ghost mickey.. what? 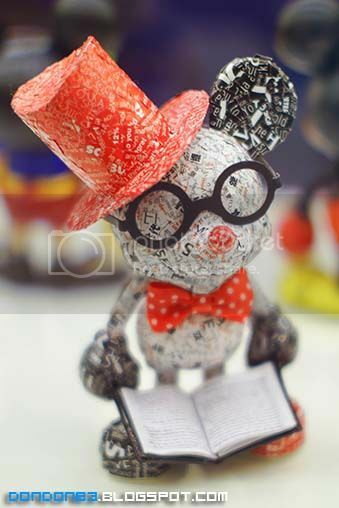 mickey the cat? 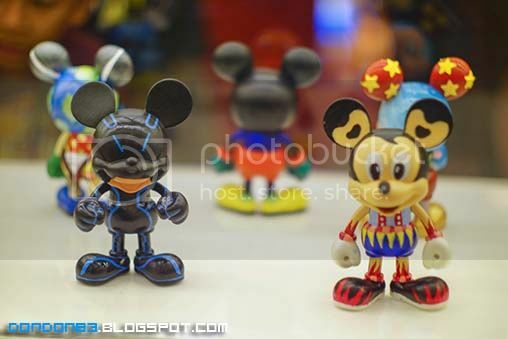 R2-D2(Starwar) styled mickey? 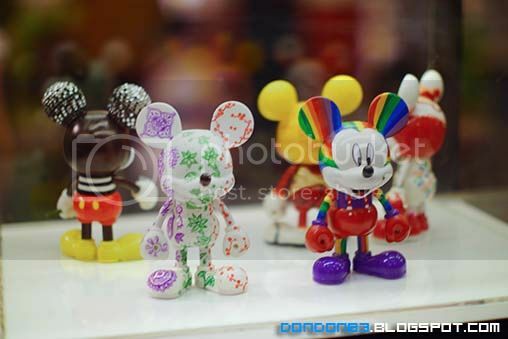 that's rainbow mickey over there. 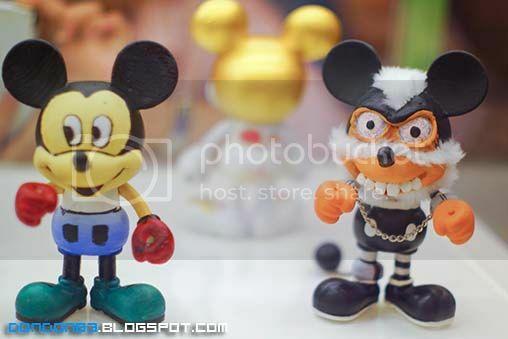 i believe that one called as mechanic mickey perhaps? 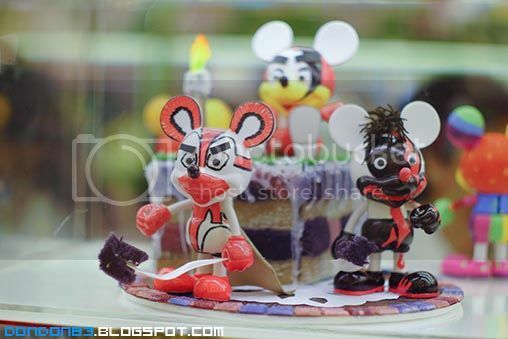 zipper mickey? 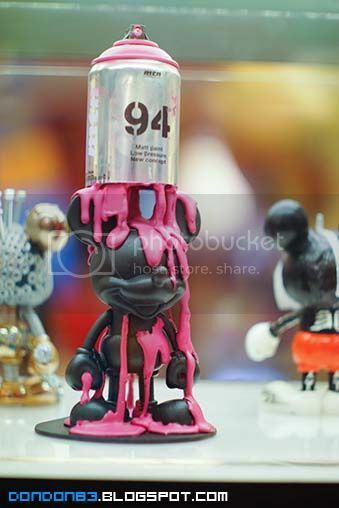 inner mickey? 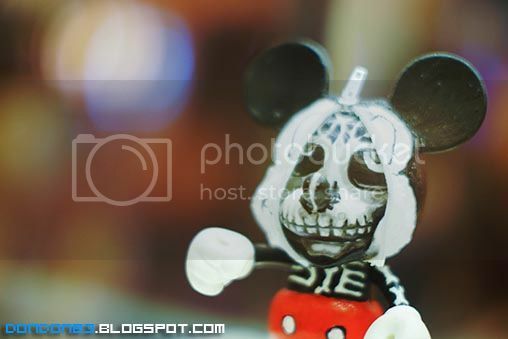 spooky mickey? 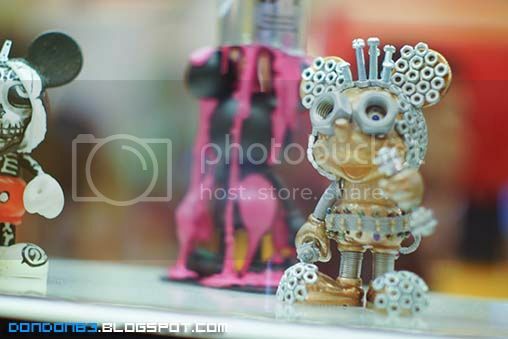 i don't know how to describe this? very out of the box sytle... yet nice. 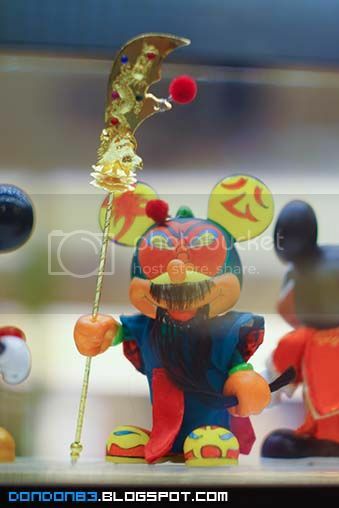 ho ho ho... Guan Gong mickey! oriental style. 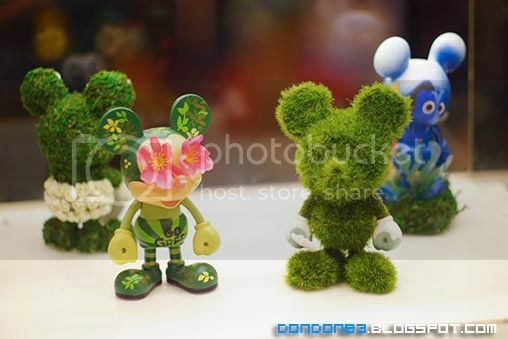 drone mickey? the one in black. 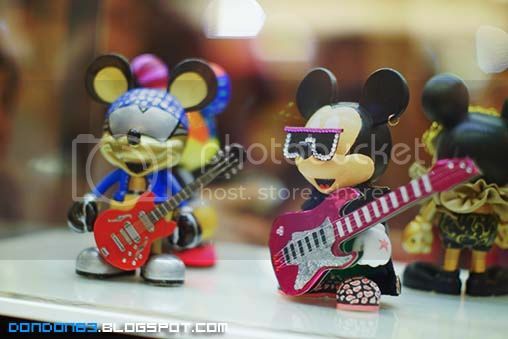 Rock and Roll Mickey.. hell yeah!! 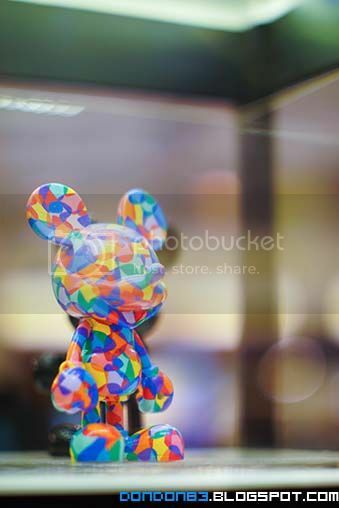 my favourite mickey.. filled with colors. hahaha. 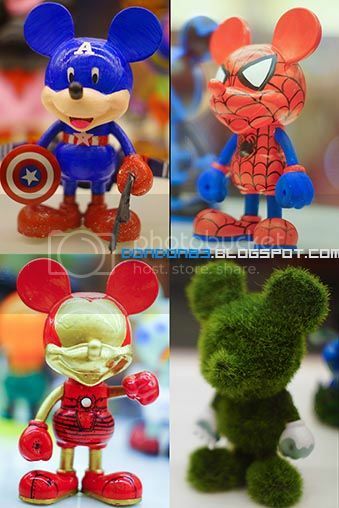 the avengers mickey.. Captain America, Spiderman, Ironman, and HULK! 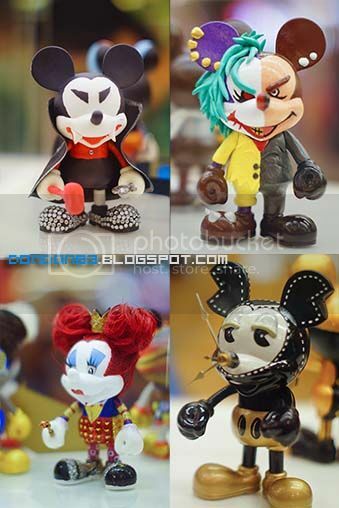 some mickey from movie, vampire mickey, two face mickey, from batman? 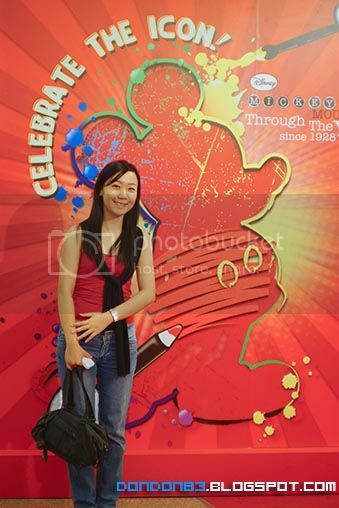 and that'' red haired mickey.. can't recall.. chocolate factory?.. 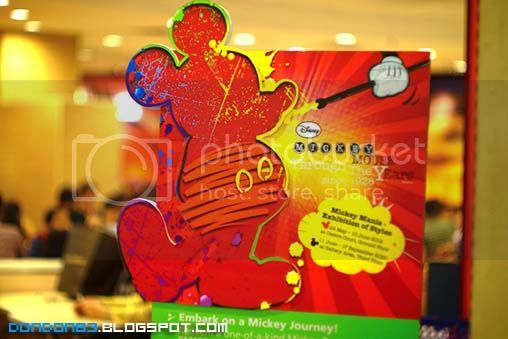 and oh.. it's that clock mickey? 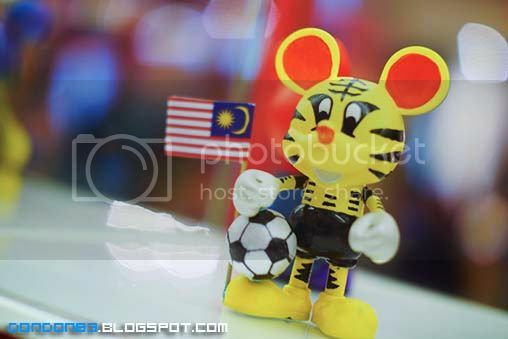 and this is Malaysian mickey.. erm... no comment.. Hairymeow Mickey.. no no.. i mean.. Harimau Mickey..